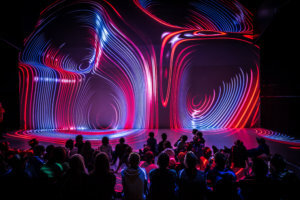 Creating new immersive content that can be used to demonstrate the creative and immersive capabilities of the new formats, and to test, improve and assess the tools to be developed in the project. 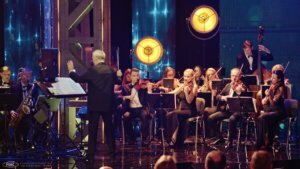 In December 2017 PSNC was contracted to produce live TV content and streaming from the premiere of “Baltic Legend”, an opera of Feliks Nowowiejski performed in Poznań Opera House. 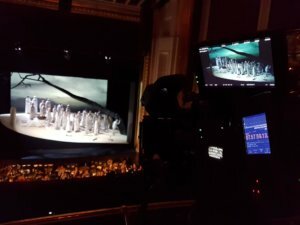 During rehearsals of the spectacle there were opportunities to shoot some additional 8K footage together with immersive 360° videos. 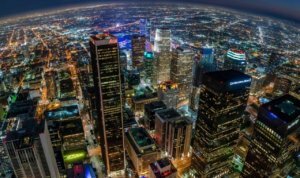 By this, we created demonstration content for two H2020 projects: Immersia TV (synchronized 4K TV content and 360 4K movie clips) and Immersify (8K content). 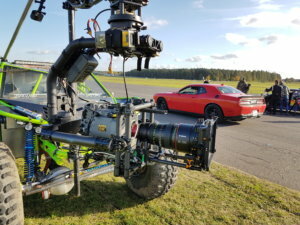 Some parts of 8K clips were made behind the stage showing the work that is not visible to the audience, making the final content more interesting. 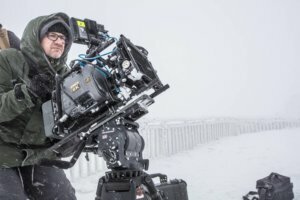 Due to the fact that this year winter in Poland was quite cold and snowy we had a chance to try 8K real winter shootings in Polish mountains. 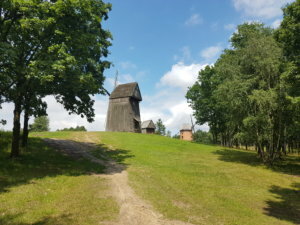 Our choice was Szklarska Poręba, beautiful small town located at the foot of the mountain range of Karkonosze. Frozen waterfalls and winter mountain panoramas from the Szrenica peak (1362 m above sea level) were the main goal, but additionally we recorded the Wang Temple, built originally from pine logs in Norway at the turn of the 12th and 13th centuries. Another place that was visited and filmed was a glassworks called “Leśna Huta”, where our film crew was very warmly welcomed and the glass-specialists showed our camera their work. 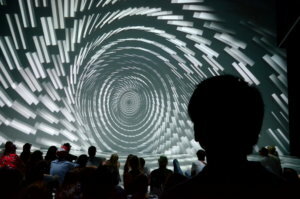 The ongoing progress of R&D was presented in the form of demos in the Deep Space of the Ars Electronica Center. 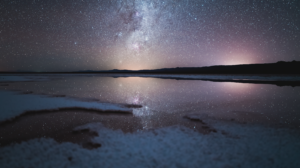 Two timelapse videos, one of Los Angeles – Pano LA 10K – by Joe Capra (Scientifantastic) and the other of Atacama Desert in Chile by Martin Heck (Timestorm Films) were shown. PSNC presented their latest 8K productions featuring Poznan racetrack and winter shots at negative temperatures in the Karkonosze Mountains. Further Prima Materia from NOHlab, a stereoscopic piece taking the audience on an audiovisual journey, could be enjoyed in 8K.